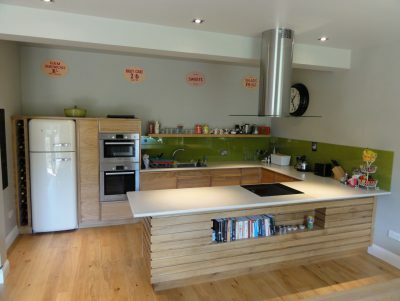 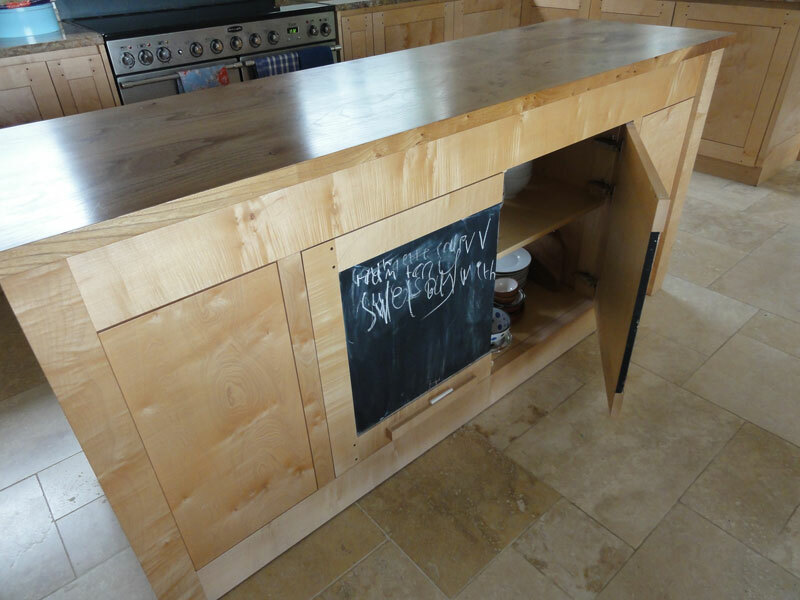 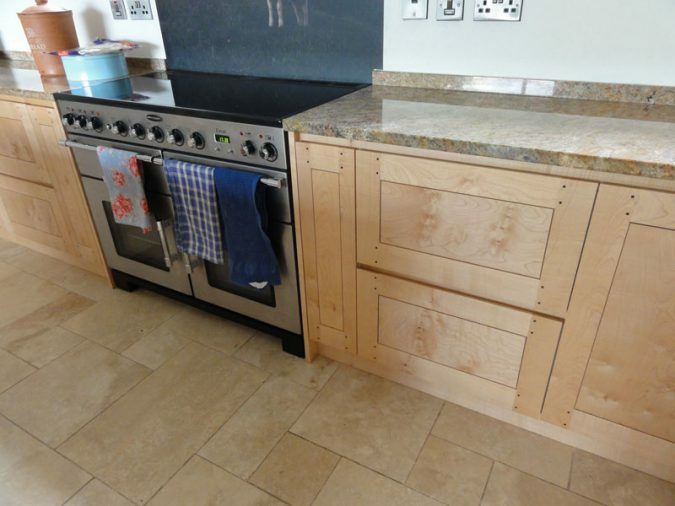 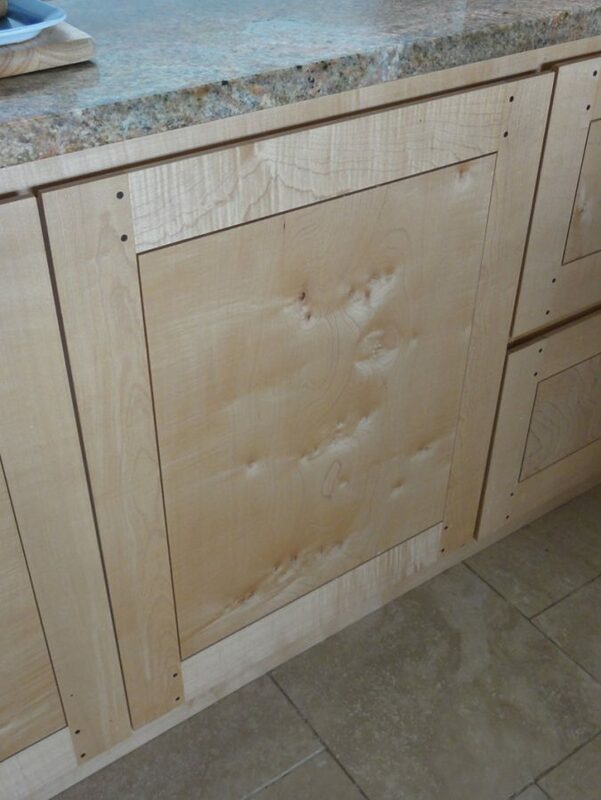 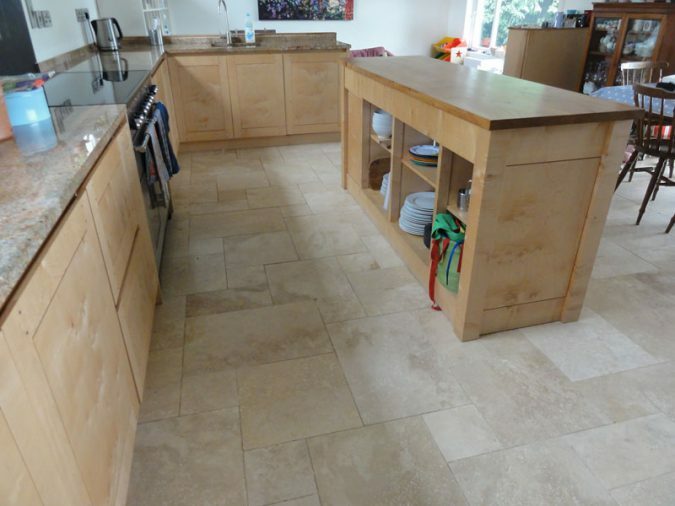 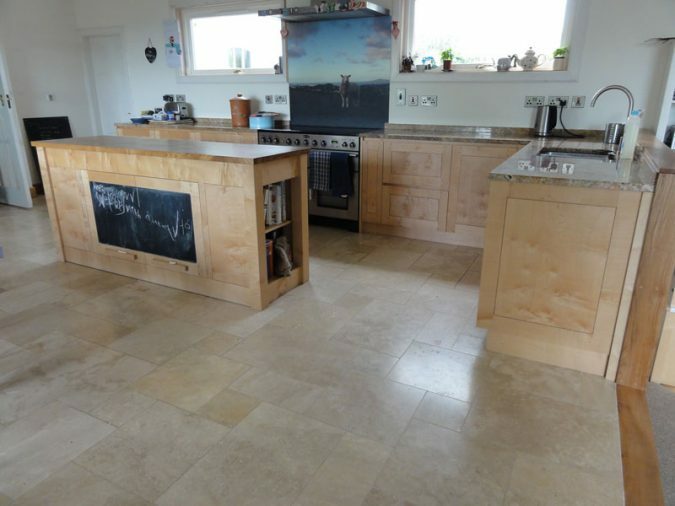 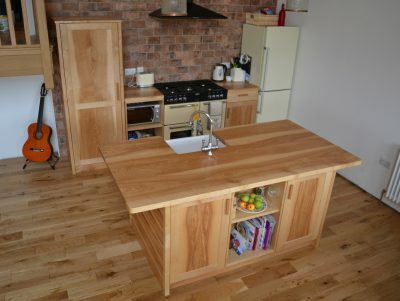 An L- Shape kitchen with central island unit made from locally sourced Sycamore and Elm. This simple kitchen design emphasises the bespoke nature of hand-made doors and drawers as each floating panel is made from a single crown cut board of sycamore. 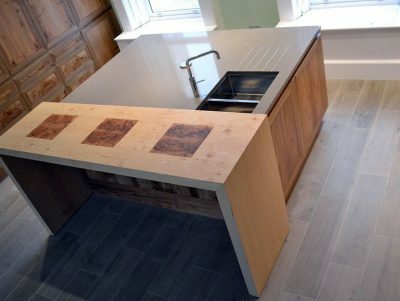 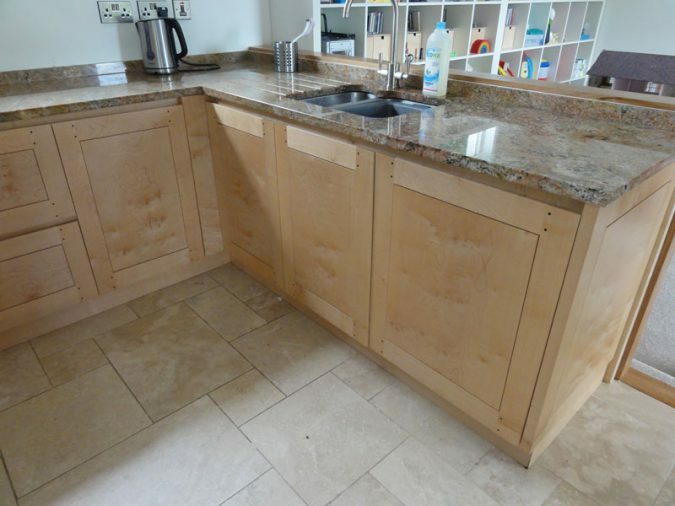 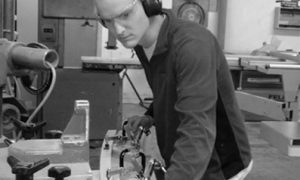 Aside from the fully bespoke Island unit, the carcasses were supplied via a manufacturer to meet budget requirements but then modified with a top framework to allow for a handle-less clean design. 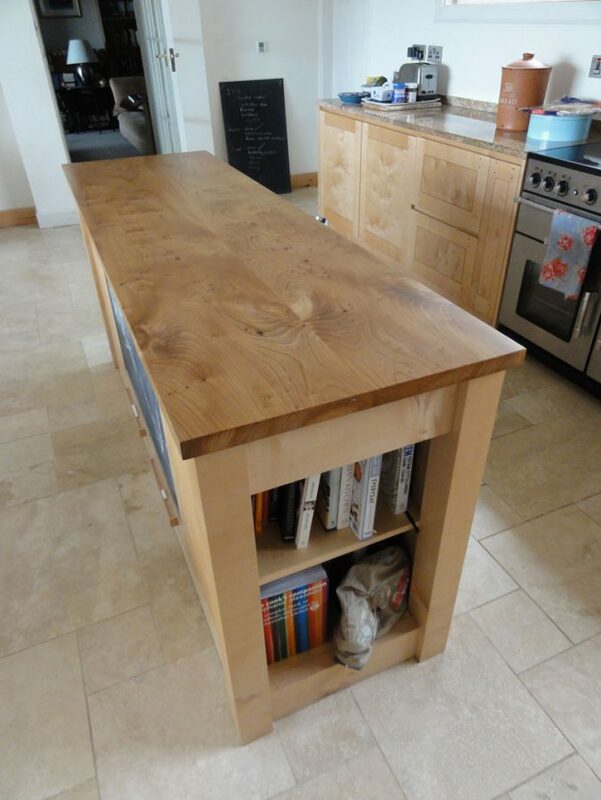 Designed and made by Graham Murdoch & Anna Nichols for a client in the Scottish Borders.